Here you will find everything you ever wanted to know about Fletcher – the show, the people involved, photos, episodes and more! If you have any questions or comments or would like more information, then drop us a line. So, what’s it all about…Fletcher! New to the series? Check out our trailer for a little taste of what we’re all about…then dive into Season 1. Lock & Load! 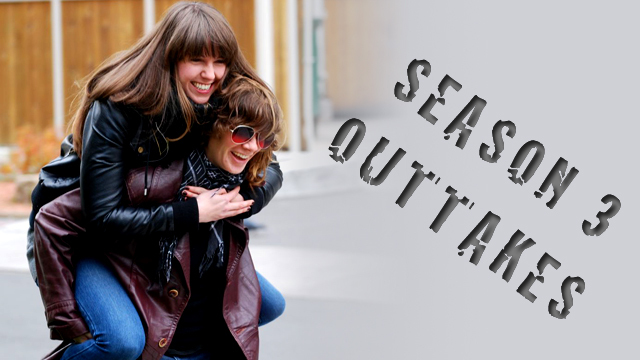 We won the AfterEllen.com Web Series Contest in 2008 with Season 1, and we grew up to make Season 2 with the support of our fans and some wicked awesome bloggers and fellow web series creators. We ended with Season 3 in 2012. Witch Like Me – A New Series from the Fletcher Team! We’re so excited to finally bring you the trailer for our all new series coming later in 2015, Witch Like Me. Looking for more info? You’ll find it here! You can also visit our sister site for more Witch related info! At the end of Season 2, we launched a new video series on our blog called Life On Fletcher. It proved to be so popular we decided to give it its own home on her new site. Catch the first installment, Life On Fletcher: Being Fletch and George featuring Lindy Zucker and Dana Puddicombe.